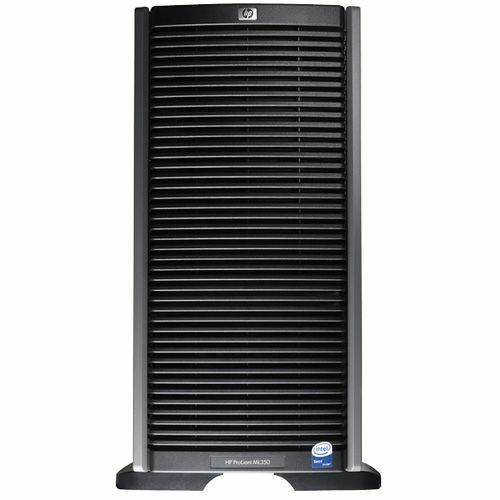 The HP ProLiant ML350 G5 server is designed with reliability, expandability, performance and environmental features that continue to make it one of the most flexible tower servers in the world. The best word to describe the ML350 server is “dual”. Dual socket, dual redundant hot plug power supplies, dual redundant fans, and dual purpose chassis that can support either the 2.5-inch (SFF) or 3.5-inch (LFF) SAS or SATA drives.